April 17, 2019 .Reading time 14 minutes. Interview with Novel19 Debut Author Alyssa Wees of The Waking Forest, out on March 12th! Welcome friends, and to the first debut author interview as a part of my Novel19 Class! This year I wanted to do something to help boost new author voices and stories, and this is a project that I am really excited about! 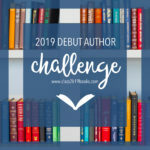 For more information about my Novel19 Class and the other five books that I’ve chosen, please check out my announcement post. Today I am really excited to have Alyssa Wees on the blog, whose debut fantasy novel The Waking Forest will be published on March 12, 2019! I’m stoked to be able to share our wonderful conversation about her inspiration, path to publishing, and how her ballet training can be found in her book. Hi Alyssa, thank you so much for joining me on the blog today to talk about your debut novel! The Waking Forest sounds like a magical and surreal fairytale that I cannot wait to read! Can you share a little bit about The Waking Forest?